When Ralf was 10 years old he started to play the guitar. He did so till his 16th, thats when he came in contact with electronic music. Since then the computer was his instrument of choice. Over the years Ralf studied various underground genres of electronic music. In his teens, he made genres like Gabber, Terror and Tekno. As he grew older he followed 2 musical studies (see below) and he found some new interests. He started making Triphop, Psybient, Ambient and Techno. During his studies he also focussed on applied composition for theater and video and art installations. 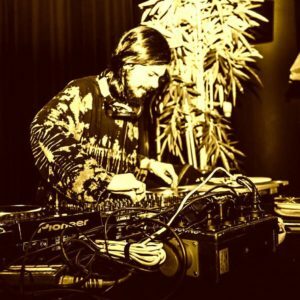 At the end of his studies Ralf has developed a fascination for psychedelic music, art and festivals and he hopes to contribute to the scene by making Chillout / Psybient music.